14-plus murder mysteries, each solved in four minutes or less by a Key West original, an ex-NYPD homicide detective named Wharton "Four Fingers" Dalessandro. In between bar hopping, playing chess, and occasional housepainting jobs, he nails the bad guy (or gal). One finger missing on his right hand doesn’t get in the way of this leftie Sherlock Holmes. 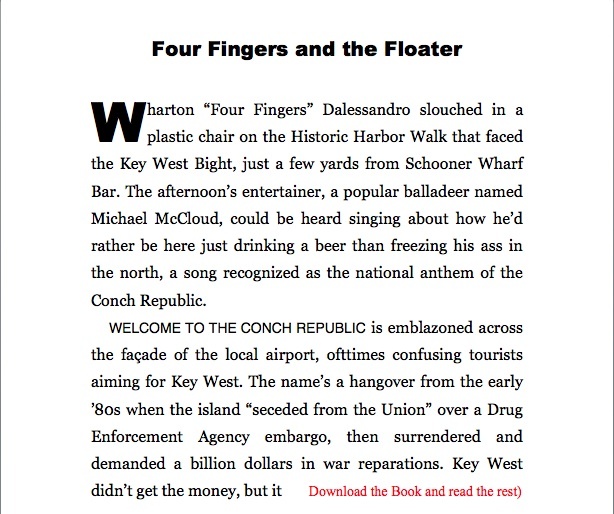 "Fun puzzlers that capture the tropical color and eccentric characters of Key West," notes Mark Howell, editor of Solares Hill.